For the rest of this week, NHS staff in England will be ‘taking a break’. 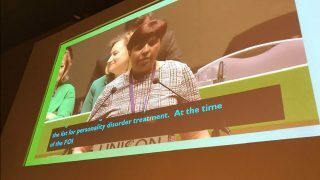 Not simply because they deserve to have the well-earned rest that their employment contracts entitle them to – as UNISON head of health Christina McAnea points out: “This is part of a week of industrial action that demonstrates to the government how much NHS staff go above and beyond what’s expected of them every day and every week. “This week, we’re asking NHS staff to take the meal times and breaks that they are entitled to, yet which so few are able to take because of staffing shortages and increased workloads. This follows Monday’s successful four-hour strike by health workers. 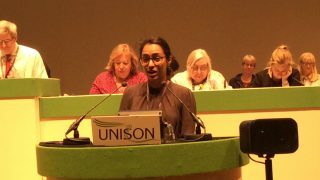 A recent UNISON survey showed that more than 45% if staff “hardly ever had time for breaks during their shift” – and half of them are worried about the effect of staffing shortages on patient safety. 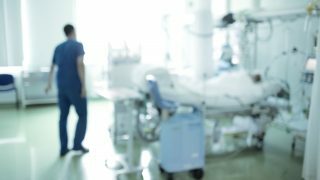 Staff work these additional hours “because they care for their patients and cannot walk away”, said Ms McAnea, writing on the TUC Stronger Unions blog. 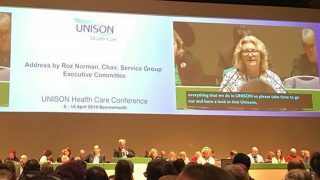 “The government is taking advantage of the goodwill and dedication of NHS staff who, last year, contributed around £1.5 billion in unpaid overtime to government finances,” she added. More than half the staff surveyed said they could not afford to go on holiday and almost 70% did not feel valued by their employer. Yet, says Ms McAnea, “the government can change this. They can show NHS staff that they are valued. They can show NHS staff that they are appreciated.